The Social Democratic Front (SDF) Party maintains their proposed solutions to the ongoing Anglophone Crises. It includes Federalism, revision of the education system and the judicial system with particular attention to the common law, demilitarization of the Anglophone regions of Northwest and South-West. The work of the National Executive Committee (NEC) and Social Democratic Front (SDF) on March 25, 2015, in Soa, Yaounde, focused on the Anglophone crisis and the preparation of the next Congress of the opposition party. According to the newspaper “Sans Détour” of March 28, 2017, during the press briefing given at the end of the meeting, the President of the SDF formalized the position of his party concerning the anglophone crisis that shakes the regions of the Northwest and the South -west since November 2016. The party objects the method used by the government to solve the Anglophone crises. However, The members of the National Executive Committee, parliamentarians and mayors suggested serious dialogues. 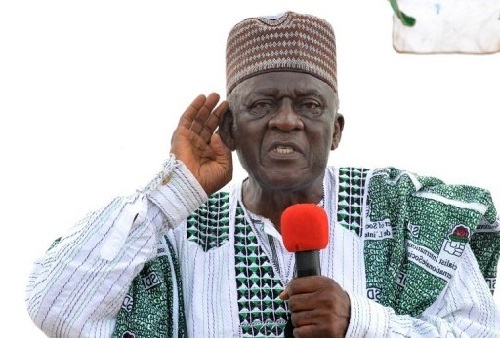 Fru Ndi was asked to do everything possible to bring together the traditional, political and religious leaders of the two regions and even those of the whole of Cameroon. Moreover, the party created on 26 May 1990 in Bamenda, demands the release of all the English-speaking leaders incarcerated in the context of this crisis. For the SDF, the crisis is not part of the political demands, but of the corporatist demands of lawyers and teachers, for better working conditions. “Since its creation in 1990, the SDF has always believed that the best model for social, economic and cultural development is federalism. Indeed, Federalism gives more opportunities to decentralized territorial authorities to manage their own affairs and their destiny. This conviction is based on certain facts. We can mention some of the most developed countries in the world such as the United States, Canada or Germany that practice federalism “, Said John Fru Ndi. Thus, the SDF calls for a review of the education system and a review of the judicial system with particular attention to Common Law, calls for the unconditional release of arrested leaders, especially teachers and lawyers.